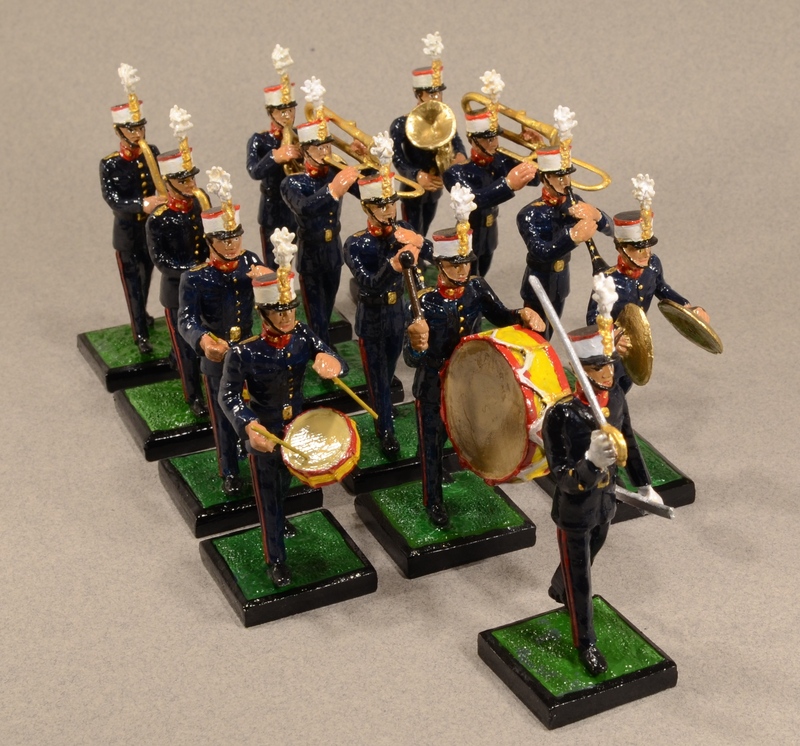 Band of thirteen musicians; a officer director, one bass drum, one cymbal, two trombones, two clarinets, one tuba, one Frech horn, two saxophones and two drums. Presented in our green handmade classic box. By request you can order the following musicians; Saxhorn 254/8, Bassoon 254/10, Fiscorn 254/13, Oboe 254/15, Flute 254/16, Helicon 254/19, Triangle 254/20 and Xylophone 254/21.